The Chart of the Day is Lincoln Educational Services (LINC). 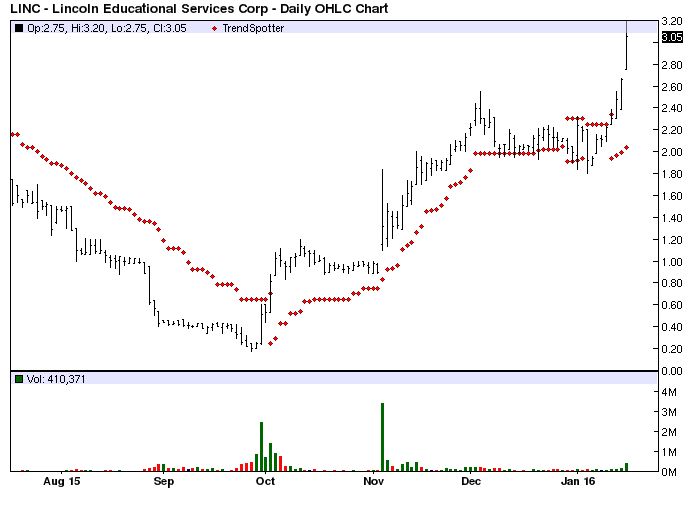 I found the educational services stock by using Barchart to find the stocks with the best technical buy signals then used he Flipchart feature to review the charts. Since the Trend Spotter signaled a buy on 1/13 the stock gained 32.61%.